I received my eBay order of a set of Maybelline polishes, specifically from the color show collection. All 5 polishes PLUS shipping came out to less than 7 bucks! Now that's what I call bargain shopping. 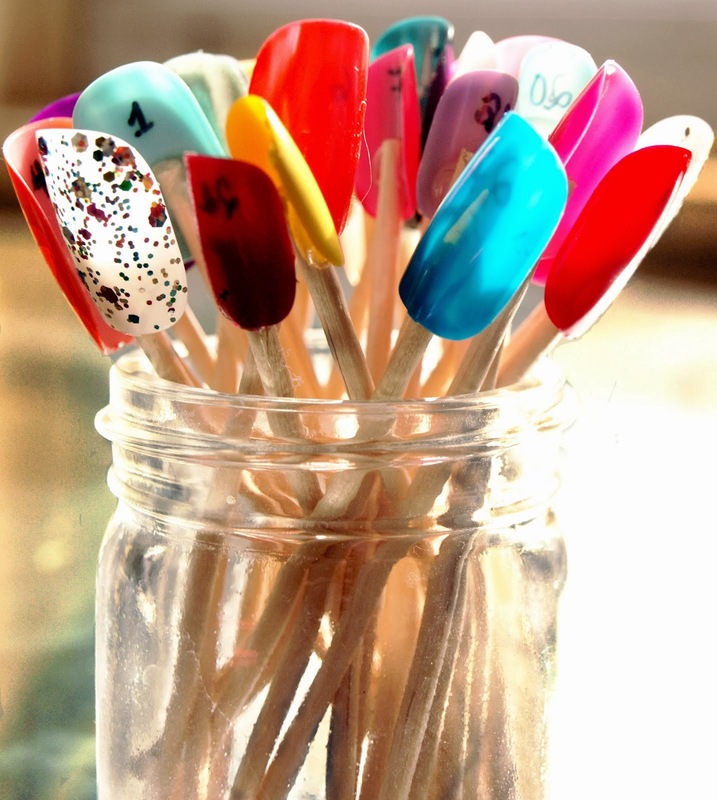 :) Want to know more on how i save money on polishes? Email me, leave a comment, and I will be glad to provide you some tips, links and thrifty ideas. <<< Here are some nail swatches of the 5 polishes i received today. I love the colors and how complementary they are to each other. The picture is very accurate in color and shine of each nail polish. The only exception may be swatch 1, which is a bit darker in person but its still very accurate. All Swatches were given 2 POLISH COATS except swatch 4: Mesmerizing Magenta, which was thicker than the other polishes and only needed one coat.